UK label MR BONGO presents new BRAZIL 45’s #37 & #38. Quirky, upbeat samba, originally released in 1973 on Copacabana. Organ and horn lines bubble under the drum groove and percussion. Taken from her only LP ‘Quando Me Sinto Só’ released in 1975. Sought after and expensive in it’s original form. The instantly recognisable, original version of the classic and much covered ‘E Isso Ai’. Beautiful laid back samba/MPB, drenched in horns and percussion. Taken from her 1971 Odeon LP. 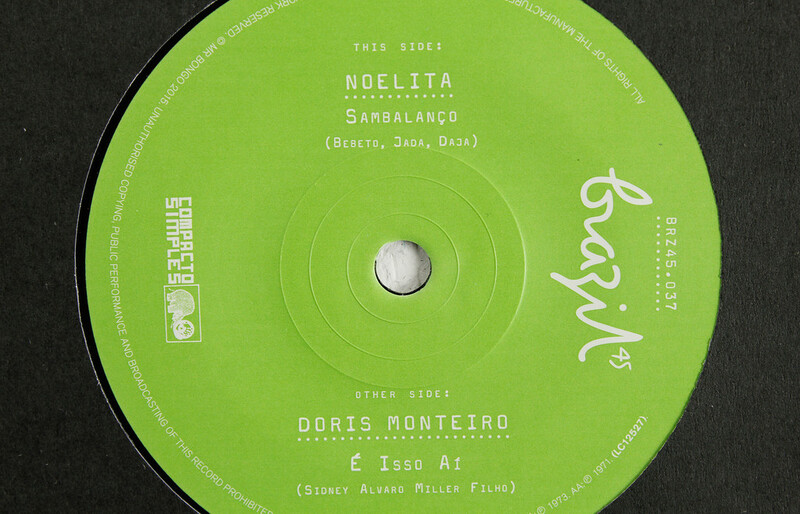 This is the second time the hugely prolific Doris Monteiro has featured in our Brazil 45’s series; previously with ‘Se Vocé Quiser Mas Sem Bronquear’ on number 9. Extremely unique, psychedelic uptempo Brazilian jazz fusion. Flutes, piano and vocal harmonies drift in and out of the mix, creating a lush soundscape. Taiguara was a prolific and hugely successful singer and songwriter – primarily within pop/MPB – whose career spanned nine albums in the late 60’s and 70’s. He is also thought to be one of the most censored Brazilian artists and was exiled to London in the 1970’s by the Brazilian dictatorship. ‘Aquarela’ is taken from his most experimental album ‘Imyra, Tayra, Ipy’ originally released in 1976 on Odeon. Killer uptempo psychedelic funk/soul track, highly sought after, originally released on Copaconana 7” in 1970. Marisa, and the backing track, sound very much like the wonderful ‘Doris’ whose album ‘Did You Give The World Some Love Today Baby?’ we have previously reissued. Rossi recorded an album arranged by the legendary Arthur Verocai. 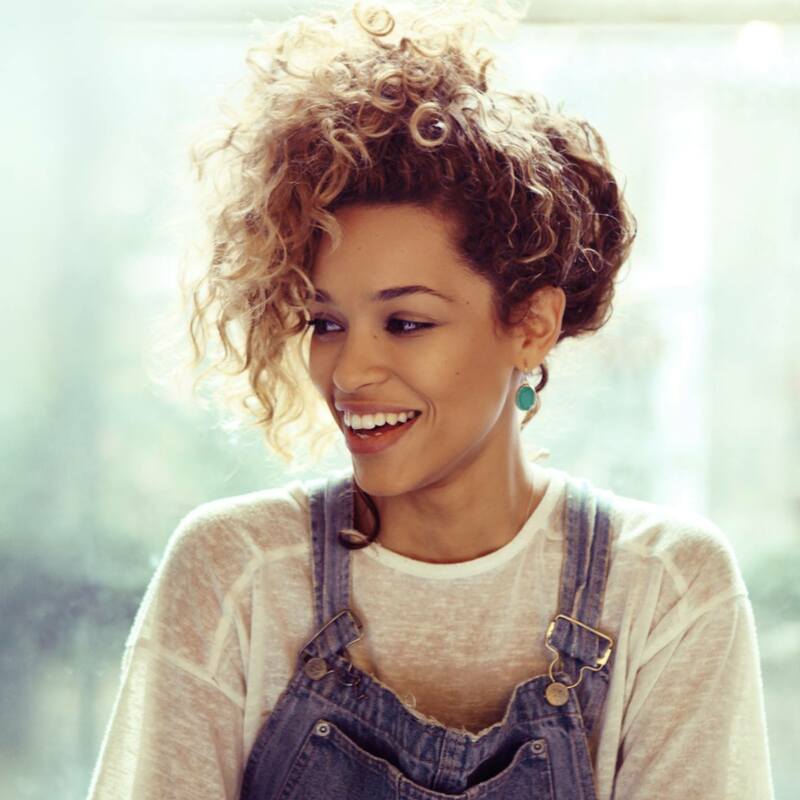 Despite earning a diploma in singing from the British and Irish Modern Music Institute, Izzy Bizu was too shy to sing in public. Instead, she envisaged a career as a pop writer – until she entered an open mic night in Camden on a whim… And won. The organiser asked to manage her; while super-producer Naughty Boy, who was in the audience, declared himself a fan. Three months later, her self-released EP Coolbeanz debuted at number three on the iTunes R&B chart and she supported her BBC Sound Of… predecessor, Sam Smith, on tour. She has since toured with Rudimental and Foxes, appeared on Jools Holland, and has two Glastonbury performances under her belt. 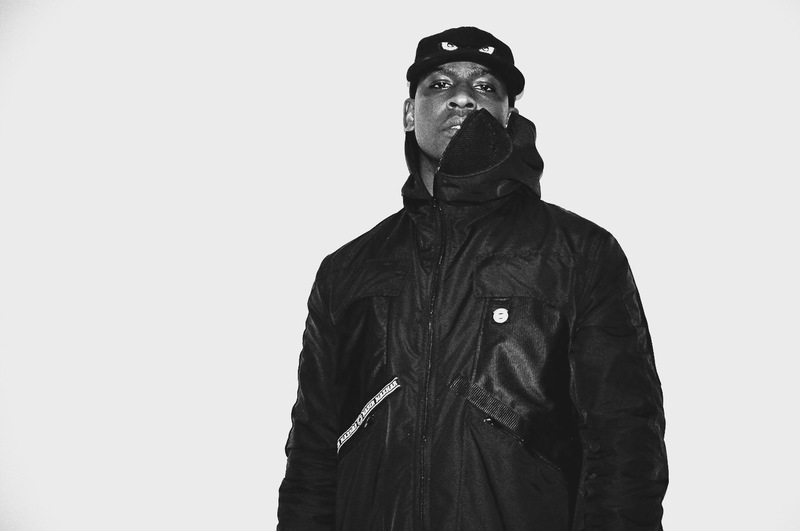 This summer Skepta embarked on a sold out tour of East Coast America & Canada, culminating in a performance alongside Drake at the OVO fest in Toronto. Noisey were there throughout the trip to document this milestone in his career. What happened was very spiritual and very crunchy.